Outside the courthouse some 25 #FreeTommy supporters cheered the decision. They were opposed by a similar number of activists from Stand Up to Racism. The two groups exchanged chants, but were separated by police to avoid violence. 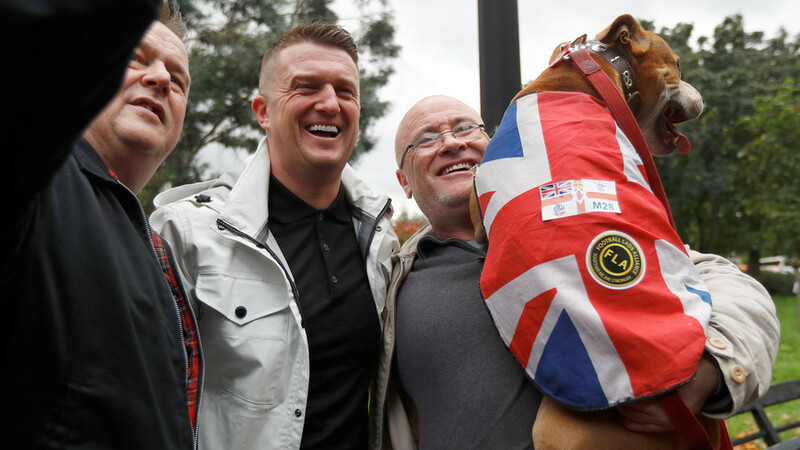 Here is Tommy Robinson's message to his supporters upon release from prison. This is the response from mainstream media. Why WOULD he want to talk to presstitutes who have done so many attack pieces on him?! Journalism at its most toxic. 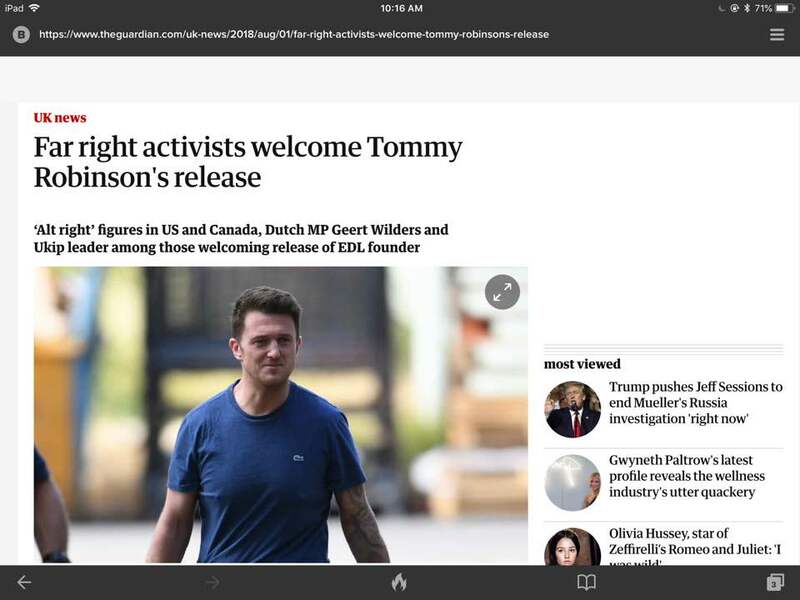 This article pushes Tommy Robinson’s “far-Right” credentials by association but nowhere does it say what the court of appeal found - that he was sentenced in an “unfair trial” (read, kangaroo court). They would hav3 to acknowledge thereby that they were leading the charge in a campaign against Tommy Robinson. My strong feeling is that this is class warfare. The Oxbridge and middle class people who inhabit the Establishment media against the working class who no longer have a voice in neo-liberal, fascist Britain.